Protesters march along Congress Avenue on January 20, 2018 to mark the one-year anniversary of President Donald Trump's inauguration. 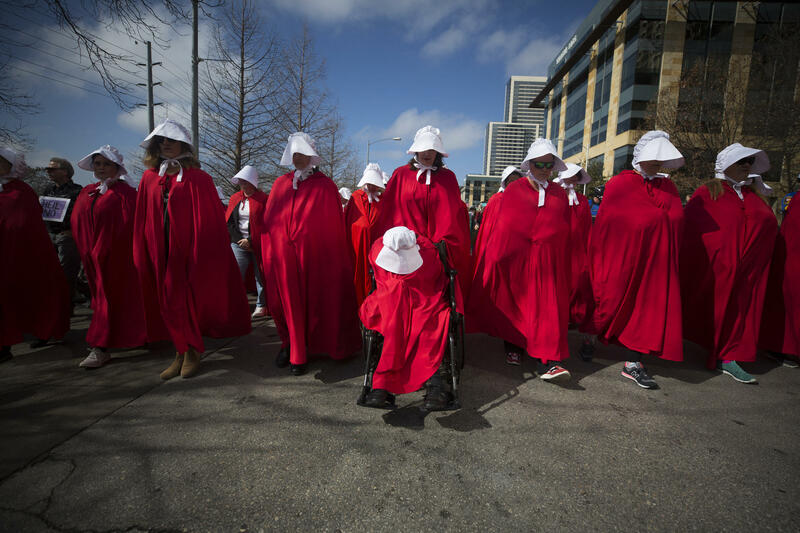 Texas Handmaids Procession lead a march from City Hall to the Texas Capitol as thousands attended the Women's March and Rally in downtown Austin. 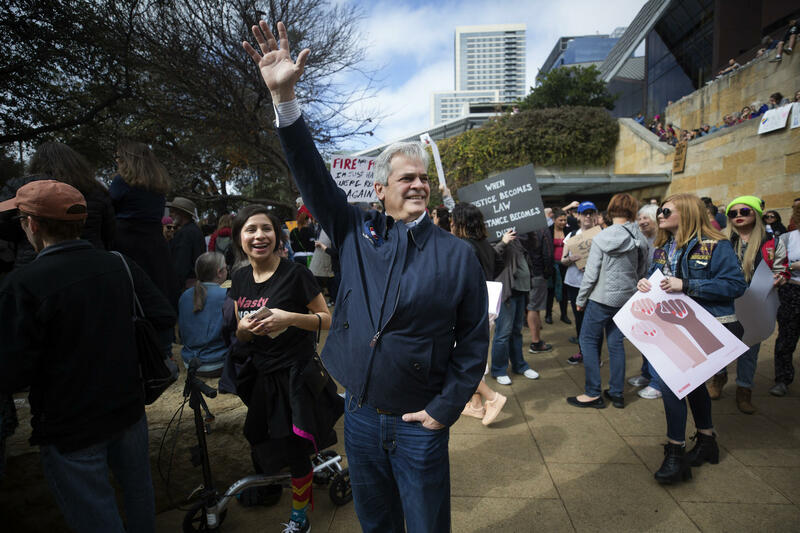 Austin mayor Steve Adler greets rally goers as thousand attend the Women's March and Rally in downtown Austin. Using signs and an LGBT flag, anti-Trump protesters block a counterprotester who was using a megaphone to disrupt the large rally at City Hall. 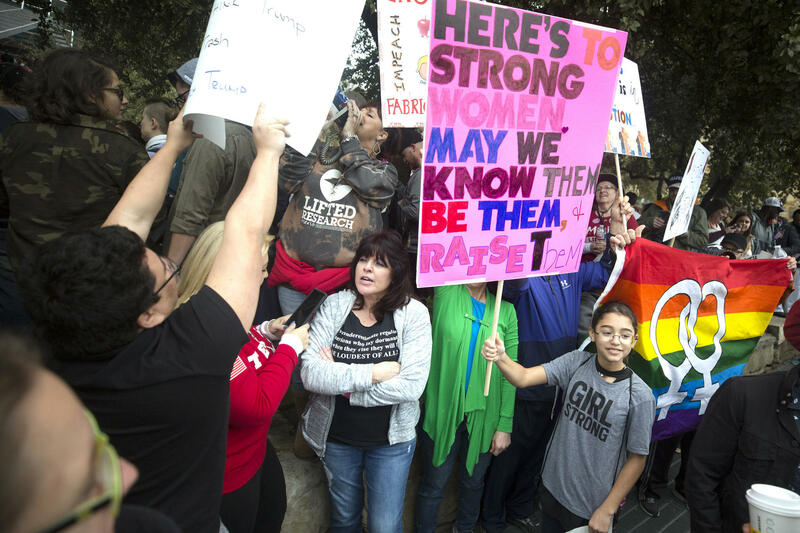 Thousands attend the Women's March and Rally in downtown Austin. 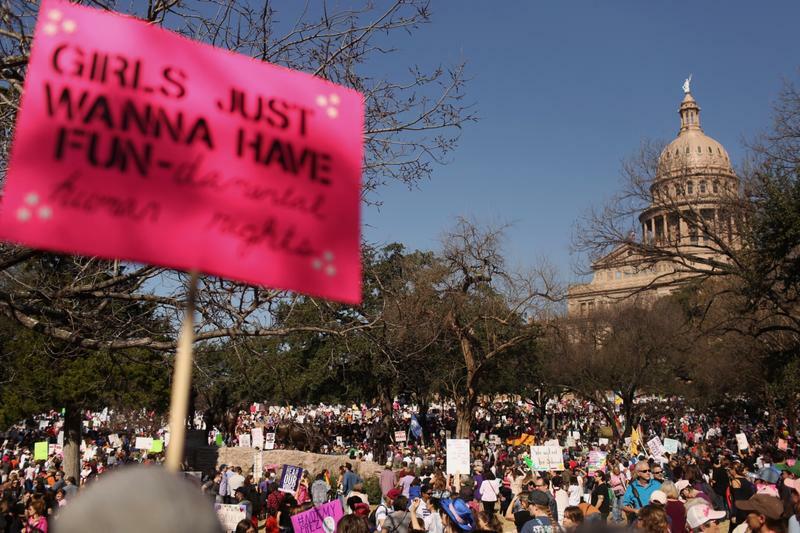 Thousands of people turned out in Austin today to march in solidarity with the Women's March on Washington. 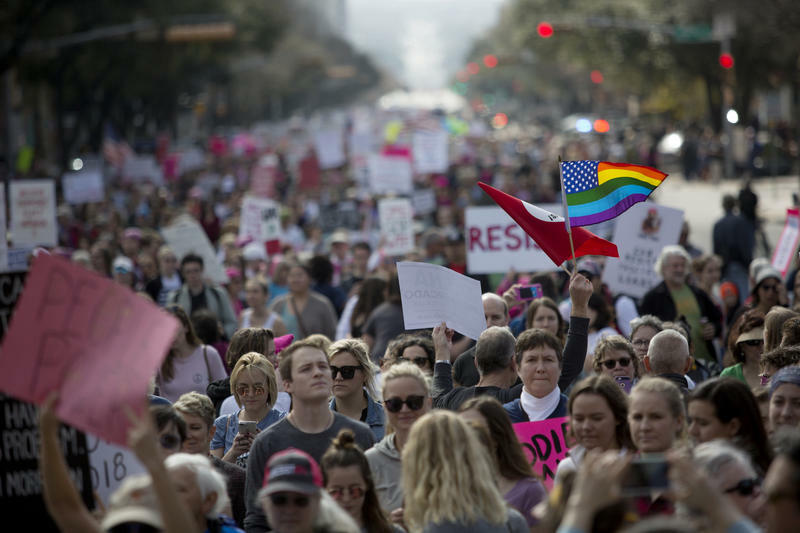 Austin's march was one of more than 600 marches around the world organized to protest the inauguration of Donald Trump and rally around a variety of issues, including reproductive rights, civil rights, immigration and the environment.